Caesar Salad on a Stick! 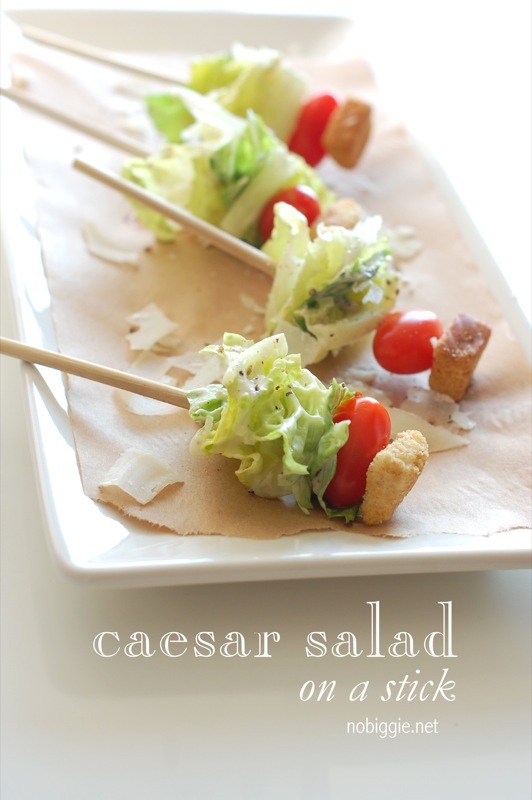 Caesar Salad on a stick makes such a fun appetizer because it’s handheld and portable! I love simple appetizers. 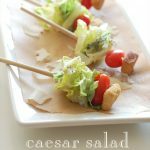 If you plan on hosting a party, whether it be a baby shower, wedding shower or just a fun get together with friends, these little caesar salads on a stick will be a hit with everyone. Just by adding “on a stick”, whatever it is you are serving, it’s instantly cute. It’s all about the presentation. See what I mean? We recently shared a great appetizer: blue cheese mushroom crostini, using the Ultimate Blue Cheese Marzetti Salad dressing. This month, I’m using their caesar dressing. 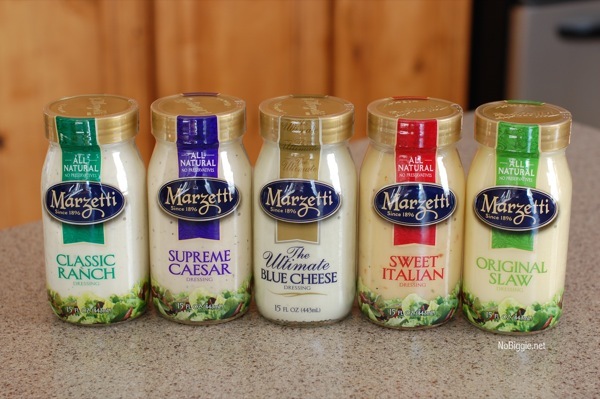 The Marzetti salad dressings are found in the refrigerated section near the produce of your grocery store. If you are in Utah, you can find them at Smiths grocery store. They are really good dressings, my family has loved them. 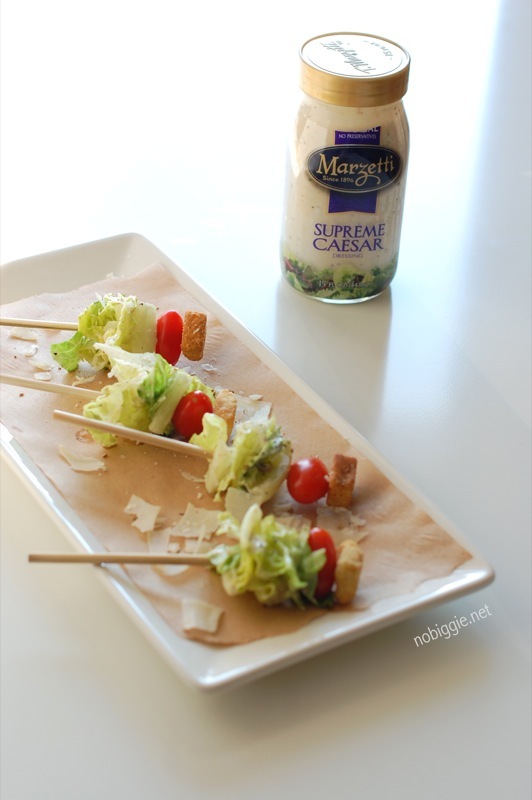 A classic caesar salad served up in a fun way...on a stick! Chop the romaine lettuce into small square chunks. Wash both the tomatoes and the romaine lettuce. Toss the lettuce and the tomatoes in the caesar dressing. Begin to skewer the lettuce chunks, tomato and then the crouton. Lay the skewers neatly on your serving platter and sprinkle with the shaved parmesan cheese and season with kosher salt and crushed black pepper. Serve chilled. *You can also squish the shaved parmesan cheese between the other ingredients to guarantee more parmesan flavor per bite. It’s a fun twist on a classic recipe. You can easily add chicken to the skewers too if you’d like. *Disclaimer: This post is sponsored by Marzetti salad dressings. All opinions and views are my own. All photos and original recipe by: Kami for NoBiggie.net.